The books keep coming! 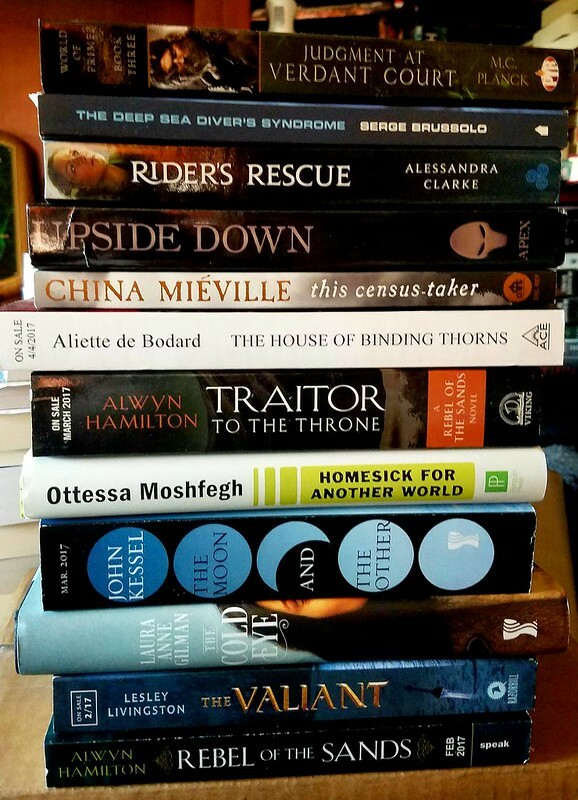 Here are the latest new books and ARCs to arrive at the Scalzi Compound. Anything jump out at you? Tell me about it in the comments! 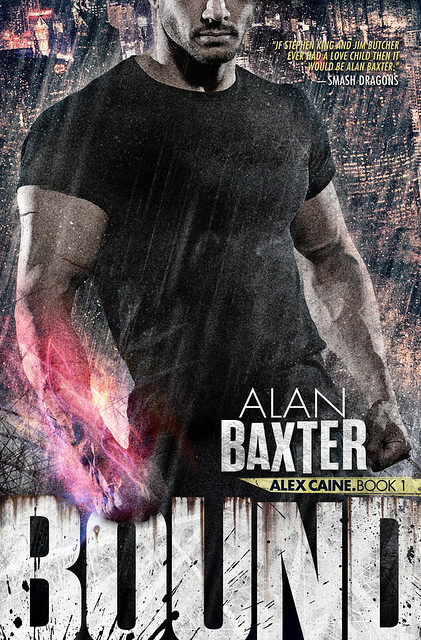 In today’s installment of “write what you know — and then make something up,” author Alan Baxter describes how two of his loves — fiction and martial arts — combine together in Bound, the first of his Alex Caine series of books. The Big Idea behind Bound is a collision of two big ideas. In previous work, I’d often been commended for writing great fight scenes. This isn’t too much of a surprise given that I’m not only a writer, but also a career martial artist. I’ve been training and teaching for more than 30 years, and competed a lot in my youth. I won a British National Championship title in 1996. But while many of my characters could fight and my books often had combat scenes, I’d never written a protagonist who was first and foremost a martial artist. Not simply a fighter, but someone who embodied the full ideals of wu de, or martial virtue. After all, every long-term martial artist will tell you that combat is the least of our training. Discipline and self-expression, determination and personal development, inner peace and outer calm, these things are greater. So Alex Caine, top-of-his-game MMA contender, was born. He eschews the bright lights and complications of big events like the UFC and has made his name in underground contests around the world, especially in Sydney, Australia, where the story starts. That was the first big idea. But of course, it’s not enough to have a good character without a story, and that’s where the other big idea, the main one really, came in. I’ve long wanted to write a book that’s essentially a reworking of the big fat fantasy quest, but set in our world in the modern day and paced like a thriller. Alex Caine was the ideal person to use for this story, and Bound started to take shape. That’s where some challenges emerged. The big fat fantasy quest relies on building a world that the author can shape to fit the ideas they want to use. They create a magic system, societies, the “thing” the hero is chasing or saving, the type of bad guys the hero has to fight or avoid, and so on. The way I wanted to do it, using a modern contemporary setting, meant I had to have to all that, but I also had the constraints of structuring my mythology to fit the existing world. Obviously, I’m not the first to have done this – it’s not even the first book of my own where I’ve done it – but the pace and ideas I wanted to use this time meant I needed to make a lot of disparate stuff fit together. That’s also the beauty of fiction. That creation is what drives me. I’m a shameless genre-masher too – I like to have elements of crime, mystery, noir, horror and other stuff wrapped up in my supernatural urban fantasy, and I wanted it to have thriller pacing. That page-turning quality is something I love to read, so it’s also how I like to write. All those things seemed contradictory at first, but on starting the book, having to build a mythical world within our known world, actually helped to guide the process and shape the story. (I realized there was a lot more to the history I was building than I could tell in one book, which is why the Alex Caine Series is a trilogy, though each book is a standalone thriller.) I let our world guide me. Researching places to set the story helped me to create it. Taking the characters to remote islands off Canada to battle creatures corrupted by bad magic, or to the underworld of Rome to fight shapeshifting monsters, gave me unique perspectives to set my mythology against, and new secondary characters took shape as much from our world in which they exist as they did from the other world I constructed for them. In hindsight, that’s obviously no surprise, but it was a fascinating process in the writing. This naturally coupled with the way the main character’s training transferred to this secondary world. Alex Caine is a skilled fighter but has no idea there’s latent magical energy in him, until someone points it out at the start of Bound. Alex wants nothing to do with this weird world underlying everything he knows, but the more he tries to escape it, the deeper he’s drawn in. So he falls back on his training and his martial philosophy. Through the book, Alex uses the physical, mental, and philosophical skills of his martial life against ever more dangerous and mystical beasts and situations. The voice of his teacher echoes in his mind, guiding him along. So I got to write a book that explores what it is to be a modern martial artist, against a backdrop of monsters, magic, and mayhem, all in a big fat fantasy quest contained in a 350-page modern thriller.